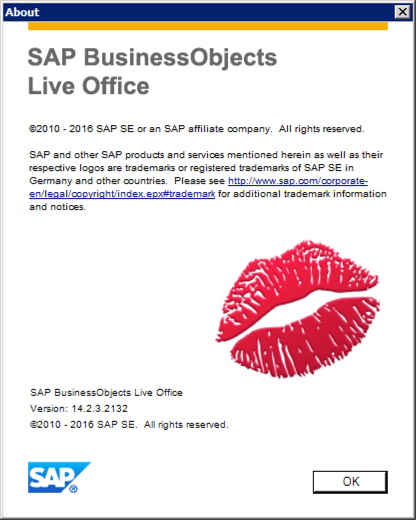 SAP Continues to Show Love to Live Office - EV Technologies, Inc.
SAP continues to show love to SAP BusinessObjects Live Office as it matures as part of the SAP BusinessObjects BI 4.2 platform. Hot on the heels of last year’s addition of UNX universe capability to SAP BusinessObjects BI 4.2 SP6 (see related article, Loving Live Office), SAP continues to evolve the Microsoft Office plug in, primarily to support the new capabilities introduced in recent Web Intelligence updates. And SAP BusinessObjects Live Office 4.2 SP4 (released May 12, 2017) now supports Web Intelligence documents with Custom Elements as well as Duplicate Row Aggregation. While it’s still part of SAP’s simplification strategy to make Analysis for Microsoft Office its only analytics plug-in, that goal has been delayed until 2019 on the latest roadmaps. So in the meantime, give Live Office a fresh look whether you’re a long-time Live Office user or simply wondering what benefits it can bring to the Microsoft Excel fans in your organization.